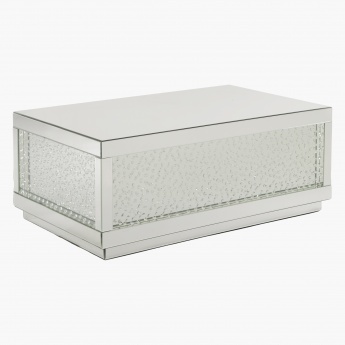 Designed to impress, this coffee table is a lovely piece of furniture for all kinds of home decors. 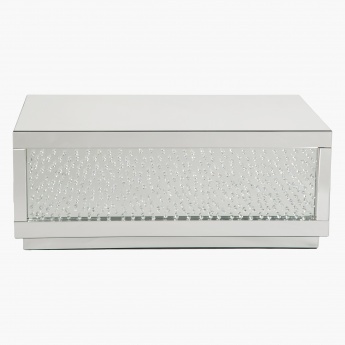 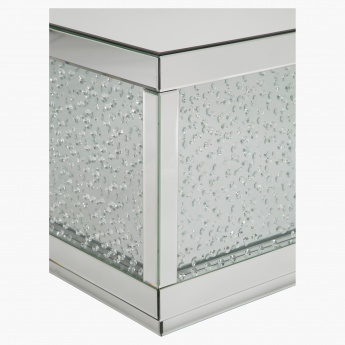 Featuring a mirror detailing, this rectangular piece has a mirrored design on the sides that adds to its appeal. The sturdy make and classy look adds a modern touch to the piece.